The world of the supply chain is massive. With all the sectors involved from beginning to delivery, products, materials, tools and everything in between go through many set of hands. When you think about it, there is even a supply chain for the machines and vehicles that will eventually help make and transport other items that are sold around the globe. Supply chain operations represent a large circle of commerce that is highly dependent on the other people in the industry doing their jobs to the best of their ability. What happens, though, when employees at factories, plants, farms or refineries are put at risk? The well-being of humans should never come behind the desire for a thriving economy, but should a certain sector fail to produce its load, what are the repercussions? There are so many steps that need to be taken in order to protect everyone involved in the supply chain, but hopefully the actions that lawmakers take will be long-lasting and safe for all parties, from production to procurement. Conditions at factories located in remote parts of the globe have been a topic of discussion that has made international headlines and been the subject of many news programs from early morning to late night television. Though efforts to shake up the old ways in favor of safer and more humane workplace environments have been made, there have yet to be any real regulations that protect the people making our clothes, toys and electronics. Just after the two-year anniversary of the factory tragedy in Bangladesh that claimed over 1,000 lives, a slipper factory in Manila caught on fire and claimed the lives of 72 workers due to the low safety standards that exist for buildings in the city, reported ChannelNewsAsia. This is just the latest in what seems to be a fire epidemic for Manila. The city's risk of fatal fires has increased by 20 percent in the past two years alone, noted the source. Many of the recent victims could have been saved if there were proper fire exits in place, but sadly there were no escape routes for the building. The fires were mostly caused by faulty wiring and neglected heat sources, the article continued, which could have easily been remedied with regular inspections and enforced safety regulations. Far-flung parts of the globe are not the only areas of the world to be plagued by poor safety standards. In fact, we are still fighting to ensure safe working conditions for United States citizens coming into contact with beryllium. This dangerous metal-turned-dust causes a fatal lung disease that could be avoided if there were more precautions in place to eradicate the health threat. 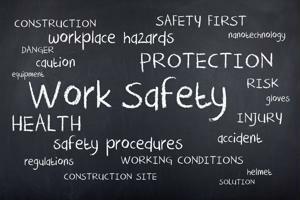 According to the International Business Times, the Office of Management and Budget is delaying making a decision about a proposal to help keep workers healthy and safe. The agency is five months past the deadline, putting countless people at risk. The Occupational Safety and Health Administration is trying hard to fix the problems that stand in the way of enacting humane working conditions. Even though there is still a long way to go to ensure the safety of all members of the supply chain, there is now a bigger spotlight on the issue. Brushing the problem under the rug and hoping it will go away will never fix the problem, but keeping it at the forefront of the public's awareness will hopefully lead to a better future for the ever-important supply chain.